EVO Japan (an esports, fighting game tournament event within the EVO series) first came up last year, coincidentally when we were in Shinjuku on the final leg of our honeymoon. My husband had been playing the Nintendo Switch game ARMS for some time, and had formed some good friendships from the community around it. He’d contributed to some player crowdfunding, and was musing about how much fun some people would be having. A week or so later, within a couple of days of us getting home, he came to bed very late. “Don’t be angry, I’ve been talking to people about maybe going to Japan in January for EVO!” The seed was planted. From the initial couple of people planning to attend, EVO really blew up in the ARMS community. More people had started signing up, but Robert was still undecided. His work makes it difficult to go away, and heading back so soon after our last visit felt rather frivolous. However, a couple of things happened. Joan’s death happened to coincide with me seeing a British Airways sale, and in a fit of “life’s too short” mentality we booked our flights. 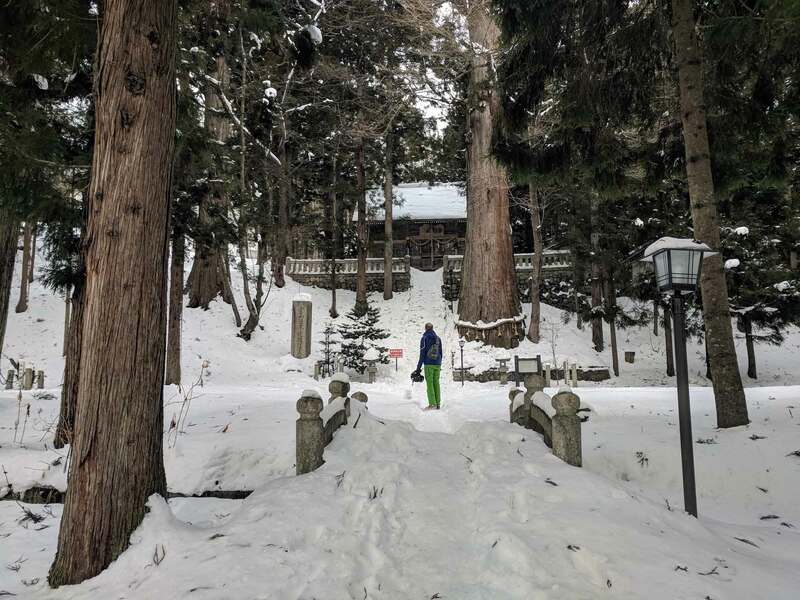 To justify it further to ourselves, we’d always wanted to go skiing in Japan, and as we try to go every year we decided we’d just swap Europe for ticking something else off the bucket list at the same time! This was our 5th trip to Tokyo, and as we’d last been there in September it felt very strange to be walking familiar streets again so soon, but also very much like coming home. We stayed in an excellent Airbnb apartment in Yoyogi for the first part of our trip, before moving over to Akihabara later on to be closer to everyone else once they arrived. I’m particularly glad that we had the Airbnb time, as it made the experience much more homely right from the start. 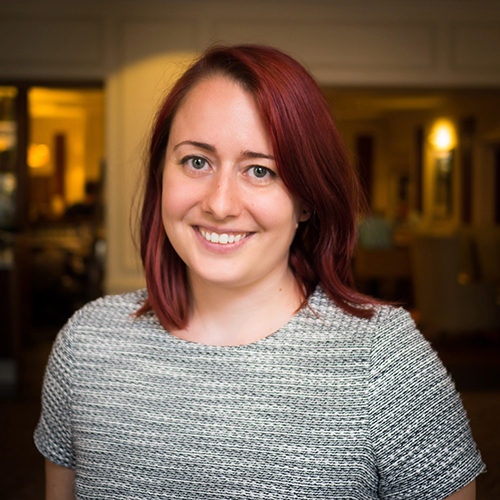 Our host, Nicole, was absolutely brilliant and incredibly responsive (free wine was a bonus touch! ), and we loved the apartment and its location. 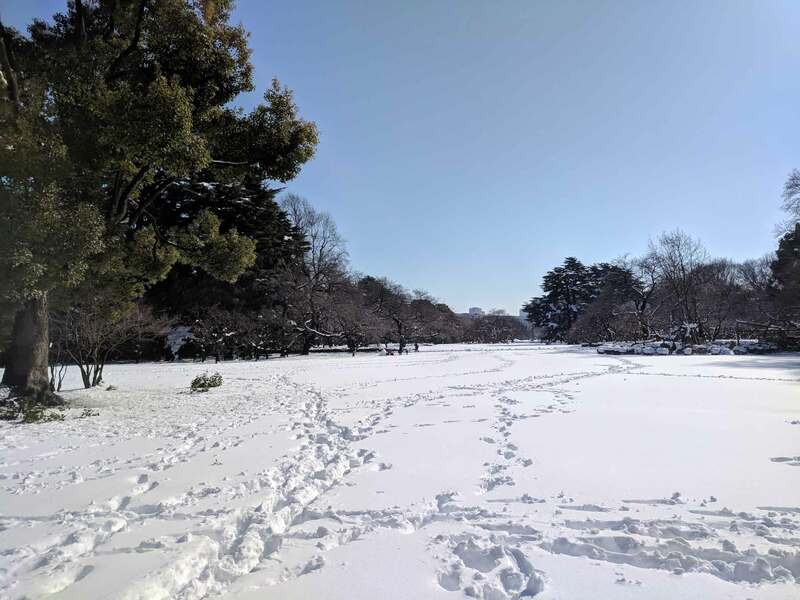 We’d walked through Yoyogi before, but really enjoyed actually staying there, as it had some great restaurants, and the park was practically on our doorstep. In line with that homely feel, one of the nicest parts for me was the lack of pressure to do anything touristy. I really enjoyed waking up in the morning, having some tea and catching up on the emails that had been sent to me overnight, then heading out for the day with no real plans (and no notifications about work whilst the UK was still asleep). One morning I sat in bed watching Japanese cookery programmes, and remember feeling particularly calm. We first visited Japan in 2008 (too early) and were actually back there in 2010, but on every trip since then we never seemed to have enough precious time to spare to trek over to it. But it's always stuck with me. This time was the time. After landing yesterday we were so jetlagged, but today was the only day. The weather was beautiful, tomorrow is due snow, and our other commitments kick in after that. Very sleep deprived, we got there. In a country where so much else has changed since those first visits, I'm lucky it's still around. I'm so glad I've finally seen it, and it'll stick in my head for different reasons now: both as a reminder to make time in life, and to make beautiful, memorable things that last. Fujikawaguchiko is a beautiful spot, and I can only imagine is somewhere that must get very busy in summer. In a way it reminded me a little bit of our visit out-of-season to Atami last year, which is a Japanese seaside/hot springs destination for Tokyo-ites. Whilst we may have kicked off the trip by visiting a long-standing restaurant goal, the rest of our pre-tournament time included revisiting old favourite restaurants and bars, as well as finding some excellent new ones. 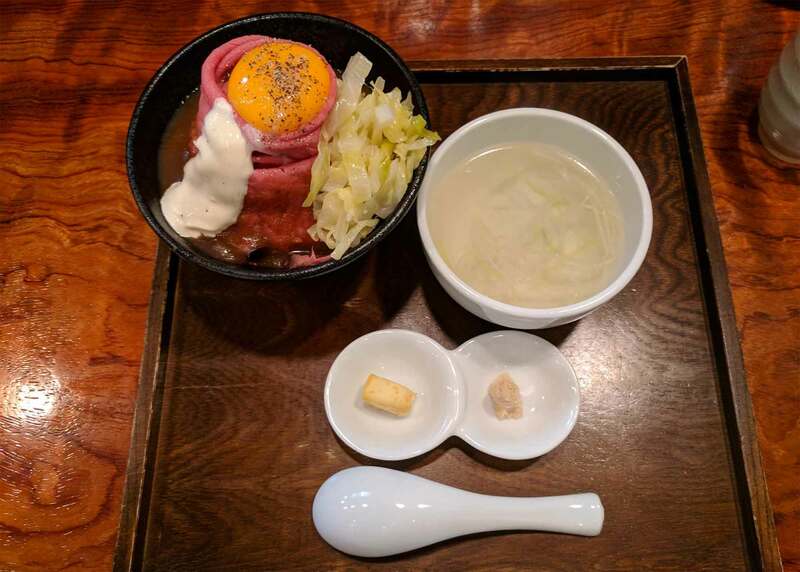 Top new picks include Shin in Shinjuku, and a little spot in Yoyogi called ごちそうとん汁, which seems to lack an actual website but serves excellent pork rib stews. 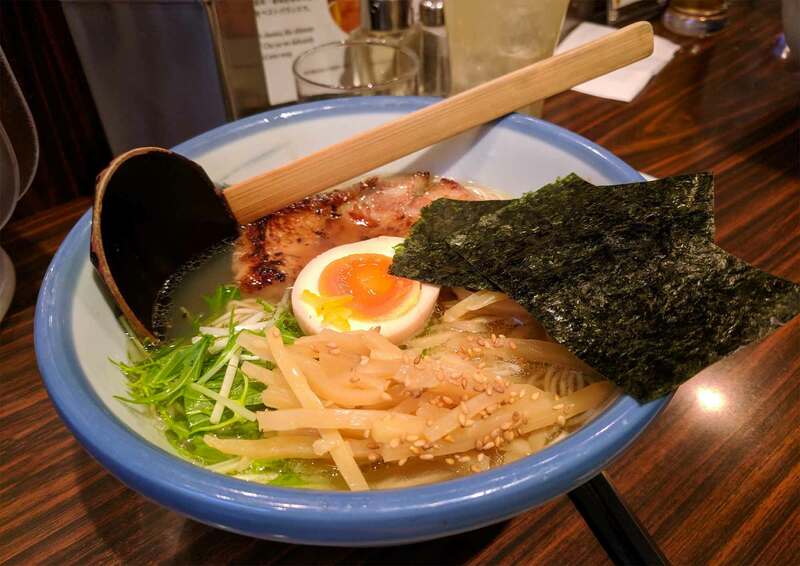 We were introduced by Jorr later on to yuzu ramen in the form of Afuri (Naka-Meguro, but there are many branches), which I was really pleased about, as it had been on a list to try. Finally, other places of note we enjoyed were たどん in Akihabara, and I also ended up eating alone at Roast Beef Ohno one evening which turned out to be an excellent choice - don’t let the presentation put you off! Tokyo (like many places around the world) has seen a rise in craft beer spots over the last few years. We didn’t get to many this time, but our latest time sampling delicious beers at Watering Hole and several DIPAs contributed to a night of us contemplating a future where we start an Otamatome band, so it’s probably good that we didn’t do the full list crawl. Outside of the Otamatome (yes, we got one), a Gutetama jumper, and restocking food supplies, most of my shopping this time revolved around picking up Japanese learning materials now I’ve started to take it bit more seriously. I’ve had textbooks and audio for a while, but took the opportunity to grab some manga recommended for beginners as well as some specific reference materials that I was after that are more of a pain to get in the UK. I’m intending to write a separate post about this at some point, so stay tuned if you’re interested. 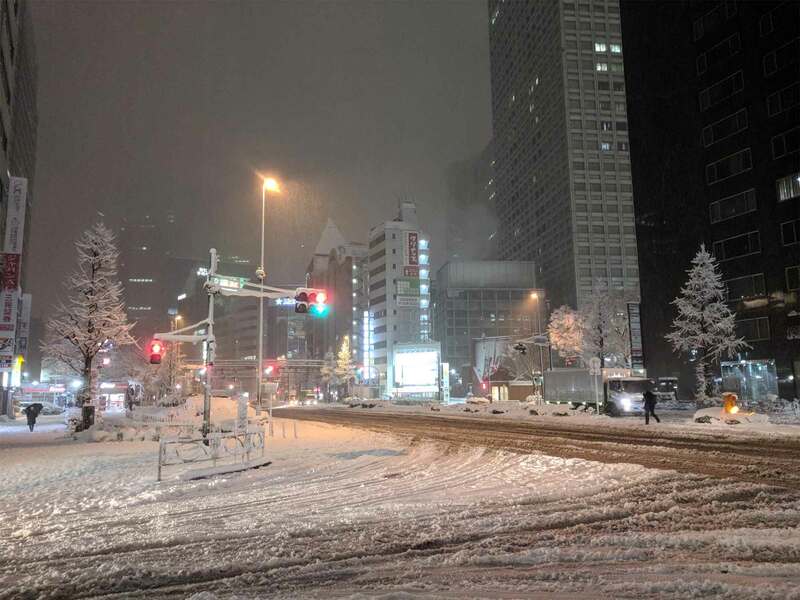 Finally, we were also lucky enough to experience what was apparently Tokyo’s heaviest snowfall since 2014, with the city getting around 27cm. It made for some absolutely stunning scenes, and I was so glad that we got to see parts of the city in an entirely new light. 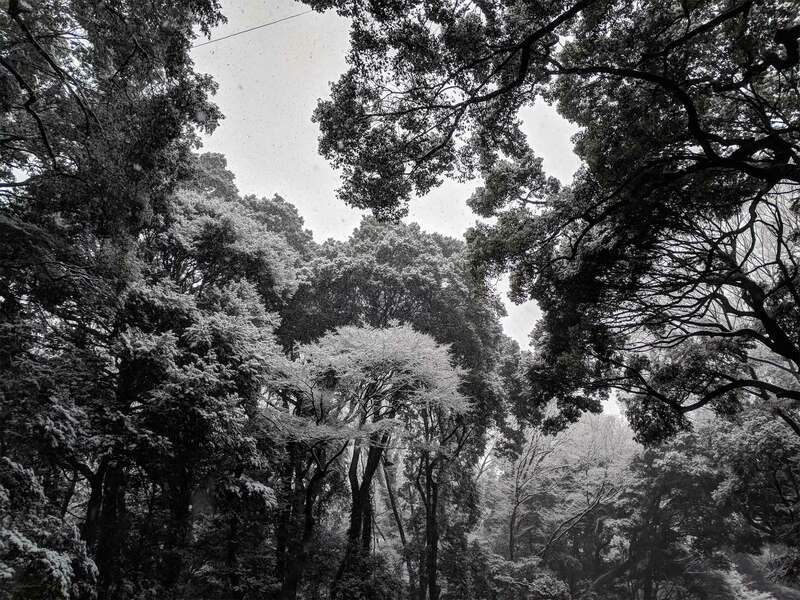 An afternoon walk to Harajuku where it started as we drank tea in a cosy cafe, walking home through Meiji Jingu, and an evening walk up to Shinjuku were all rather magical. 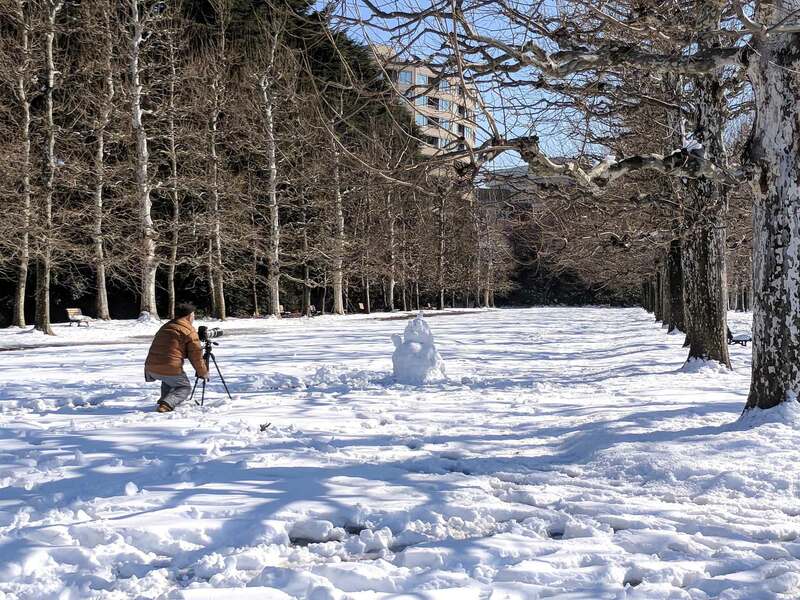 One of the most interesting (and endearing) things for me was that Japan’s love affair with umbrellas continues into snow - something that makes complete sense, and yet which the West hasn’t caught on to at all. I’m skipping over the EVO section as that deserves its own post, but I was pleased that we had some more time and didn’t have to leave straight away after the tournament finished. Instead, we headed north on the Shinkansen to Nagano, where we caught a bus to Hakuba valley. 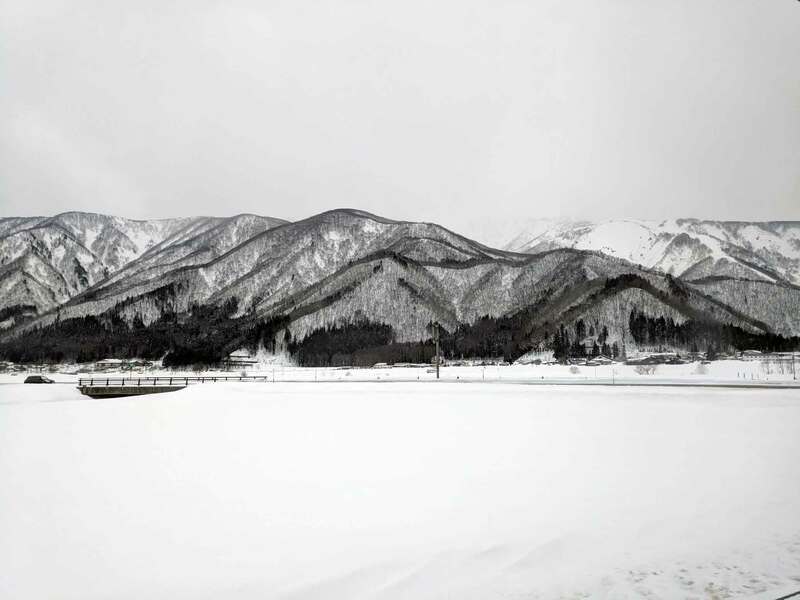 The main event venue for the 1998 Winter Olympics; it was ridiculously quick and easy to get to from Tokyo, full of amazing snow, and another reason to be extremely jealous of Japan-dwellers that their infrastructure makes good skiing so accessible. We’ve only ever skied in Europe before, and this was notably both very different and… not. Our hotel was styled like an Austrian chalet, and there were generally a lot of noticeable alpine influences (not all entirely accurate!). On-slope-restaurants were 99% cafeteria-style and very un-Japanese (apart from the food), and an enormous influx of Australians seemed to have led to many restaurants and bars being made a bit ‘safer’ for non-Japanese speakers. As someone who was actively trying to have as much practice conversation as possible it got a bit tiring when everyone started speaking English by default! In contrast, one of the things that I liked the most was that there was a 1000 year old tree and shrine right in the centre of the village that we stayed in - something that you absolutely wouldn’t get in Europe! Another favourite was the mountains themselves, which were stunning. As most of the trees seem to lose their leaves (in contrast to alpine treelines), you get a view of the mountains that’s extremely reminiscent of artwork that I’d seen in museums. I’d never seen anything like it. The skiing itself was excellent, and whilst the resort infrastructure/signposting/lifts were notably less invested in than most places in Europe, it was definitely somewhere that I’d like to revisit. 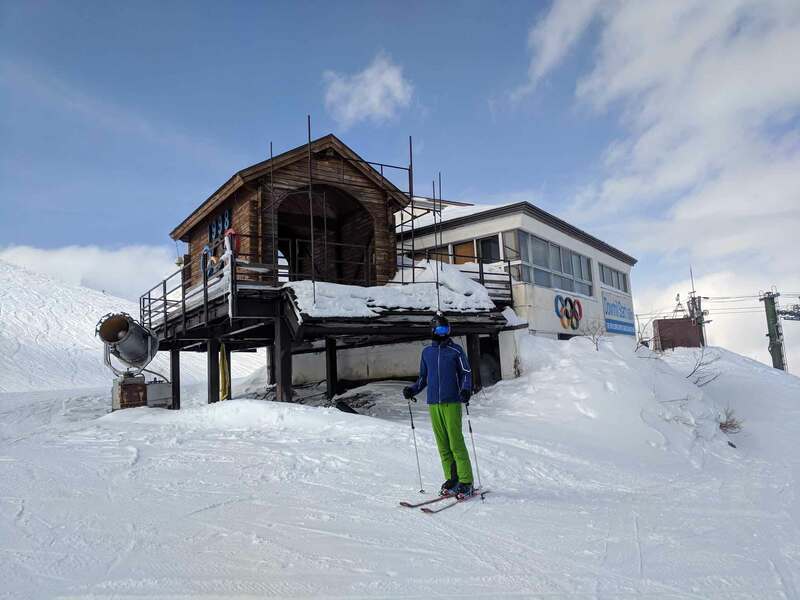 During the week was particularly quiet, with many slopes being completely empty at points. We spent time in two of the larger sections of the valley - Happo One and Hakuba 47/Goryu - and of these Happo was my favourite. 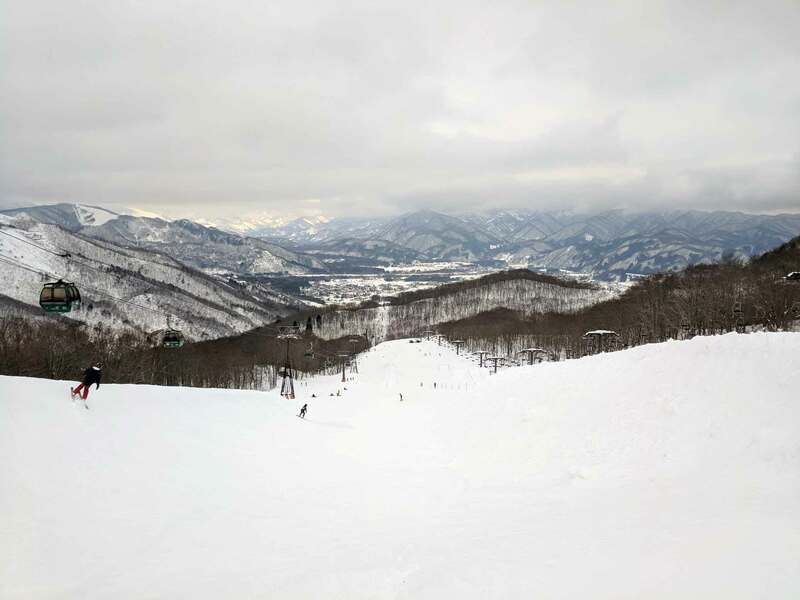 If we return for another skiing trip I’d really like to visit Shiga Kogen, also in Nagano, which was our runner up option. 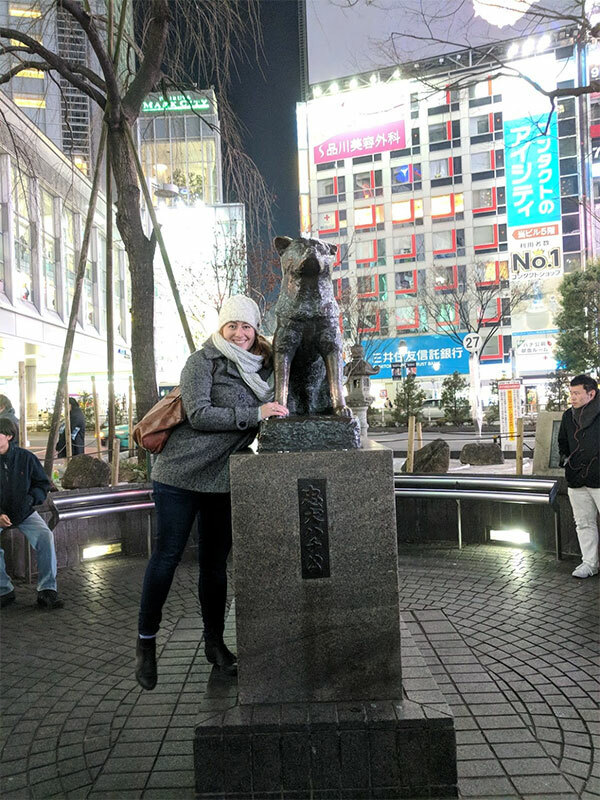 We had a final stop back in Tokyo to carry out some of our leaving traditions, although I was slightly saddened that a fun bar we’ve visited every time, Coins, seems to have made some changes for the worse, which I guess is a danger over 10 years! I guess we’ll just have to head back again to double check.